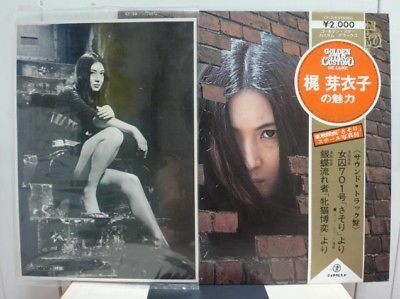 KAJI MEIKO / MIRYOKU, RARE JAPAN ORIG. 1972 LP w/OBI & PORTRAIT FEMALE PSYCH NM! Including Rare Original B4 Sized Portrait Picture !!! Hard to Find Item in Top Condition !! !